Kim Kardashian is going head-to-head with Donald Trump … with statistics. Kim is trying to show the threat of Islamic terrorists to Americans pales in comparison to American-on-American gun violence. 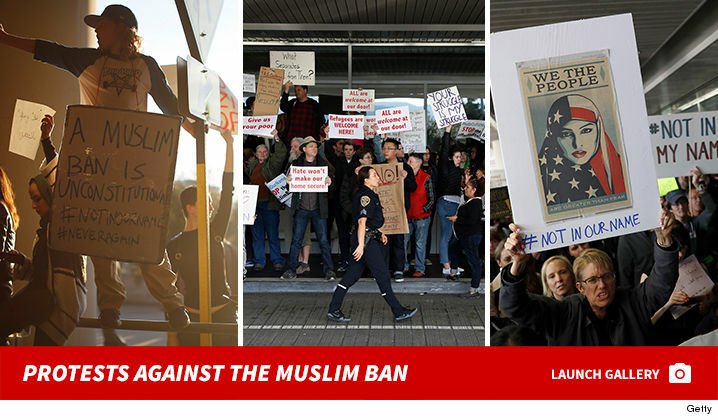 She posted a screen grab of a chart with stats generated by the CDC — which shows, over the last 10 years, Islamic jihadist immigrants were responsible for 2 murders per year. By contrast, armed toddlers kill 21 people per year. Lawnmowers kill 69, and falling out of bed kills 737 annually. The biggest number … 11,737 Americans are shot and killed by their fellow citizens. 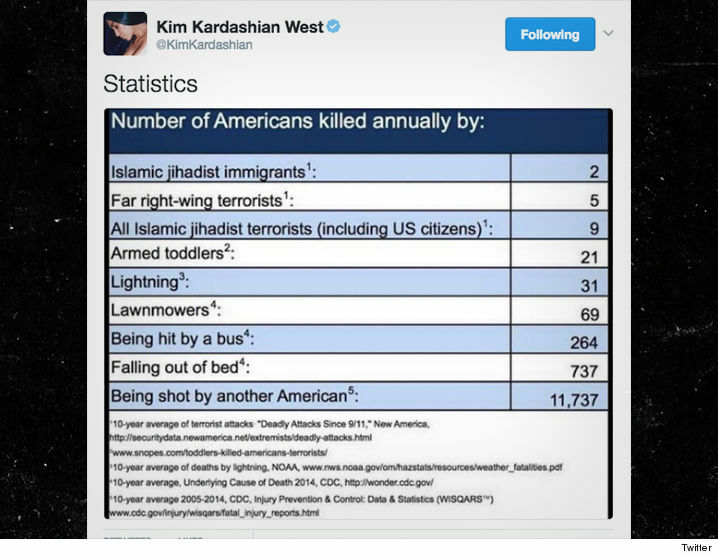 There is no text that accompanies Kim’s post, other than the word “Statistics.” She does not mention recent attacks, such as the San Bernardino shooting, which resulted in the slaughter of 14. Why Doesn't Captain Phasma Take Her Helmet Off in 'Star Wars: The Force Awakens'?